This classic text provides a clear picture of why the fundamentals of American education are important to today’s teachers–and how the evolution of education affects today’s teaching and learning. It focuses on helping students become highly qualified teachers by connecting theory and practice, examining the philosophical and historical roots of education as well as its current structures, and exploring the real-life challenges facing teachers and the future of education and the teaching profession. 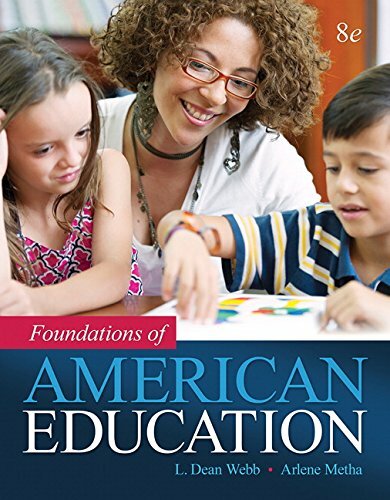 Comprehensive, up to date, and balanced, Foundations of American Education shows students how to read, think about, and respond to current educational issues; asks them to reflect on how the past influences education today; and helps to prepare them to become professional educators. The new edition provides a fresh look at such topics as government involvement in education, the national standards, student achievement data, charter schools, and the minority to majority demographic shift in the student population. The Enhanced Pearson eText features embedded videos and assessments.